Blackboard chalk measures 0.38" diameter and 3.25" in length. Non-toxic, washable Blackboard chalk in assorted colors. Great for use on children's chalkboard easels. Each pack includes 60 pieces. Sold as 12 boxes for a total of 720 pieces of chalk. 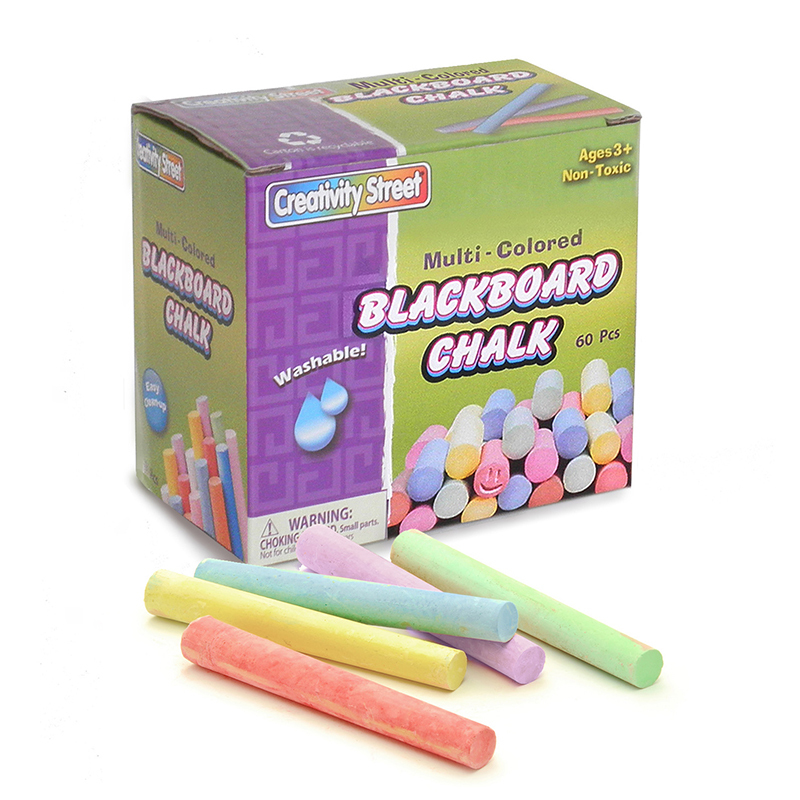 The (12 Bx) Blackboard Chalk 60 Per Bxmulti Color can be found in our Chalk product category within the Arts & Crafts. Blackboard chalk measures 0.38" diameter and 3.25" in length. 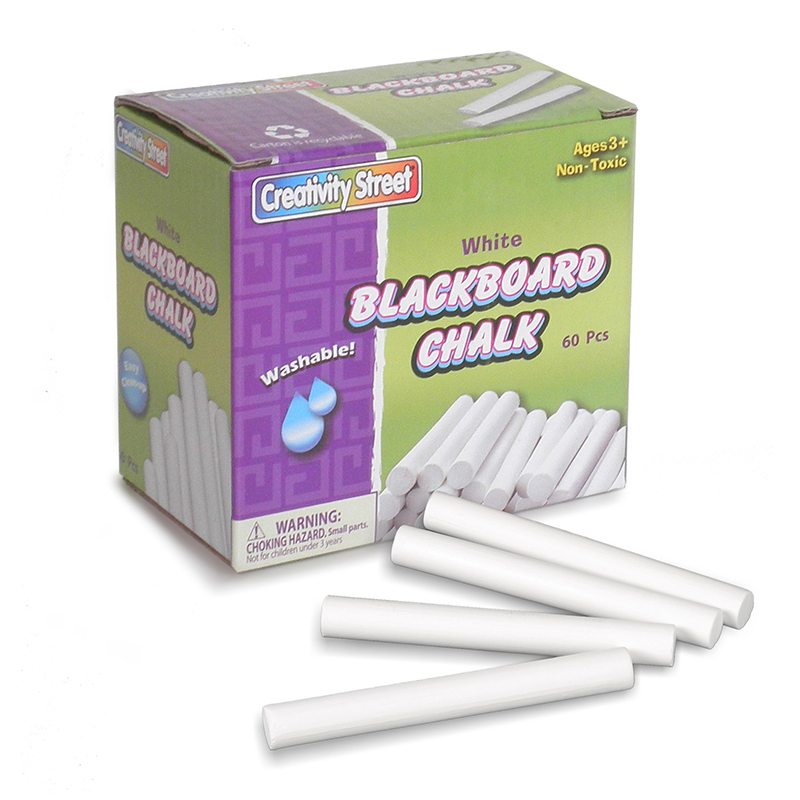 Non-toxic, white washable Blackboard chalk. Great for use on children's chalkboard easels. Each pack includes 60 pieces. Sold as 12 boxes for a total of 720 pieces of chalk. 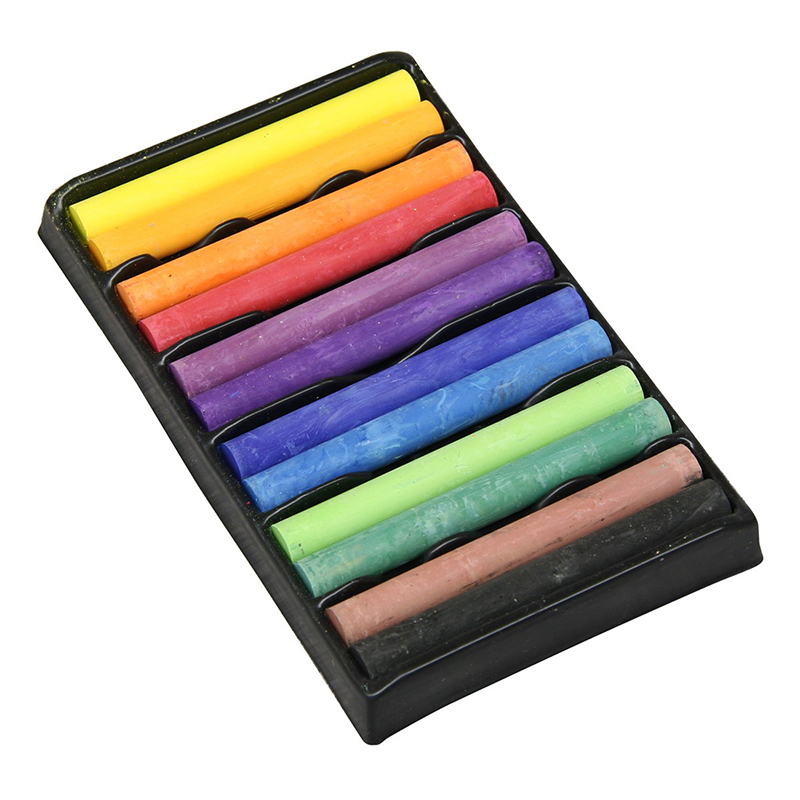 3" long drawing chalks in assorted colors. Chalks are bold, bright and fun to use. Perfect for use on paper, cardboard, chalkboards and more! Colors can be blended with paint brushes or fingers for special textures and effects. 12 pieces each box, bundle of 12 boxes, 144 pieces of chalk total.